The only way you can not know about Minecraft Story Mode is if you live under a rock. The elf children at Wrapped Up N U are a little obsessed to say the least. They have also tired a time or two to get mama elf involved but it is way over her head(yep, I will admit it). But none the less I really enjoy watching the AMAZING things the elf children do in this game. The generous folks at Telltale Games sent us over a copy of the Minecraft Story Mode - Season Pass Disc and also a cool t-shirt! We oped in for the XBOX360 but the game is also available for other gaming systems. This is a great game that provides hours and hours of adventure as find your wade through 5 episodes. We highly recommend this game and think Santa would agree! Ho Ho Ho~and a happy MINECRAFTING to all! 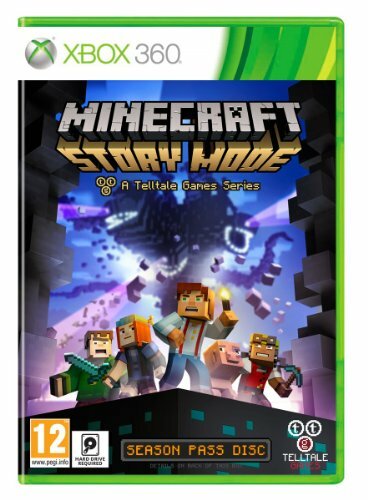 Minecraft Story Mode is available currently available for purchase at major retailers nationwide in addition to online at Amazon just in time for the holiday season. For all the latest happenings make sure visit the website and following them on Facebook, Twitter and their Blog. Minecraft, the retro fantasy construction world that turned from simple open world video game to worldwide phenomenon.